As we come into the New Year we enter a time when we have excessive expectations from our body. We want extravagant gains financially, professionally, and for our lives in general. We desire unreasonable losses from our bodies in terms of weight, eternal youth or other physical changes. All of these are a form of violence that cause enormous suffering. When we know how to stop this insanity we will experience balance, equanimity and grace in our lives. 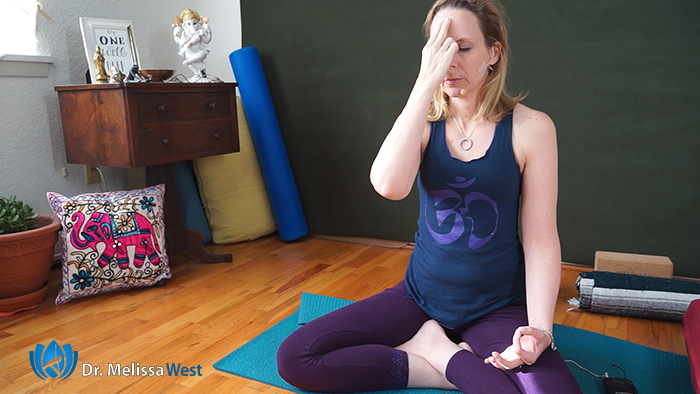 Today we are going to focus on two yamas, including brahmacharya and aparigraha, from Patanjali’s yoga sutras which are invitations and outward practice that promote peace and harmony in your life as you interact with people and the world we live in. It is important to remember that the yamas are wise characteristics that already exist within us. Through our practice of yoga, we come closer to knowing these qualities that are our True Nature. Nischala Joy Devi translates Brahmacharya in chapter 2:38 as “Devoted to living a balanced and moderate life (Brahmacharya) the scope of one’s life force becomes boundless.” When we live a life of moderation and balance this brings focus to our lives. It also brings balance to our Divine and human nature. When we come into the New Year with resolutions that are excessively demanding of our physical, mental, emotional, and spiritual bodies, this is brahmacharya out of balance. This refers to the nonproductive expenditures of energy. Everything we do causes an outflow of energy. It is up to us to tune into whether our actions drain us or gives us energy. Brahmacharya translates as expending only the energy we need to live in harmony. Certain activities such as starving our bodies, over exercising, over exerting yourself mentally, staying up too late, overworking, expend a lot of energy and bring you out of balance rather than into it. The final and fifth yama is aparigraha. This yama often gets translated as non-possessiveness or non-hoarding. It means to take only what you need. When reflecting on this yama, we can ask questions such as how much do I need? I am not saying that financial stability is not important, however recognizing that we have enough, appreciating the goodness in life is incredibly important to preserving our energy. Aparigraha not only refers to our expectations for material wealth and fame, but also unrealistic expectations for non-stop happiness and joy in our lives. It is simply unrealistic to expect that this year is going to be all good. There will be good parts and there will be parts that are more challenging. If we spend all our time worrying about our future, we lose a lot of energy. Instead we can take the time to appreciate what we have in our lives and the world around us. Your life is far more valuable than any excessive material wealth can be. The sutra on aparigraha is translated, “by practicing aparigraha, we discover why we were born” (Nicolai Bachman’s translation). 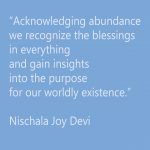 Nischala Joy Devi puts it this way, “Acknowledging abundance we recognize the blessings in everything and gain insights into the purpose for our worldly existence.” This is a pretty bold statement, one that suggests that without the external stimulus of our possessions we will have more time for balance in our internal lives. What balancing posture would you like to see in the next Yoga with Melissa chair pose or hastha padangusthasana? 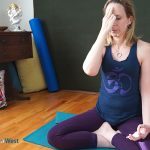 If you would like a short 10 Minute Yoga for Anxiety Meditation to help with the transitions in life then scroll down and put your email in the opt in box and we will be happy to send that to you. Today we focused on letting go of the violence of excess that gets thrust upon us and our bodies in the New Year. If you would like support in staying in that frame of mind this month, this is our focus in our membership community in our daily yoga connection, our live Monday meditation classes, our book club, and our monthly online retreat. We would love to support you in this.